Foils are like wings that operate underwater. As with sails, the shape of the foils directly affects performance. The PT 11 sails amazingly well against the wind, mostly due to good foils. Dinghy foils are usually either very expensive or they are crude and inefficient. 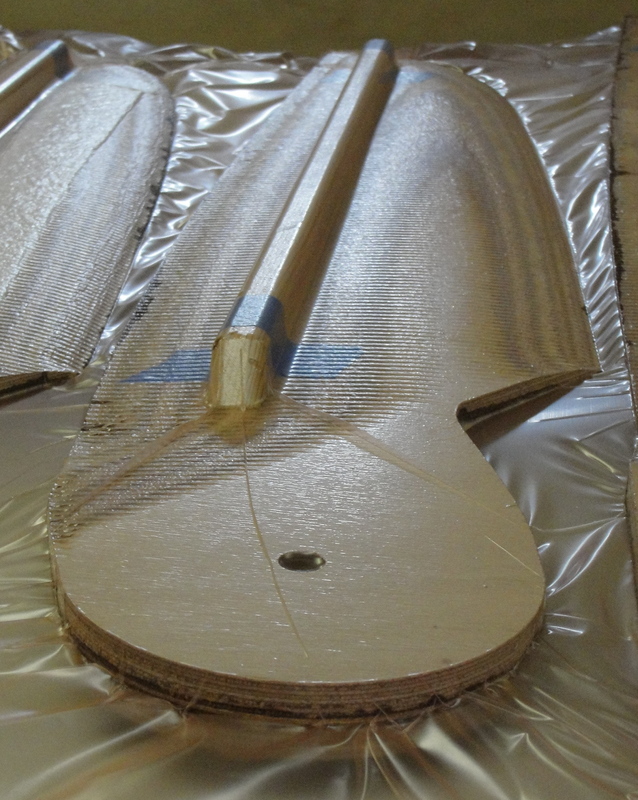 The PT 11 foils are neither, but like the boat itself there are multiple glass & epoxy steps to make them long lasting. One could just epoxy coat them and go sailing, but from our perspective that would be a waste of very high quality plywood and a lot of CNC machine time. 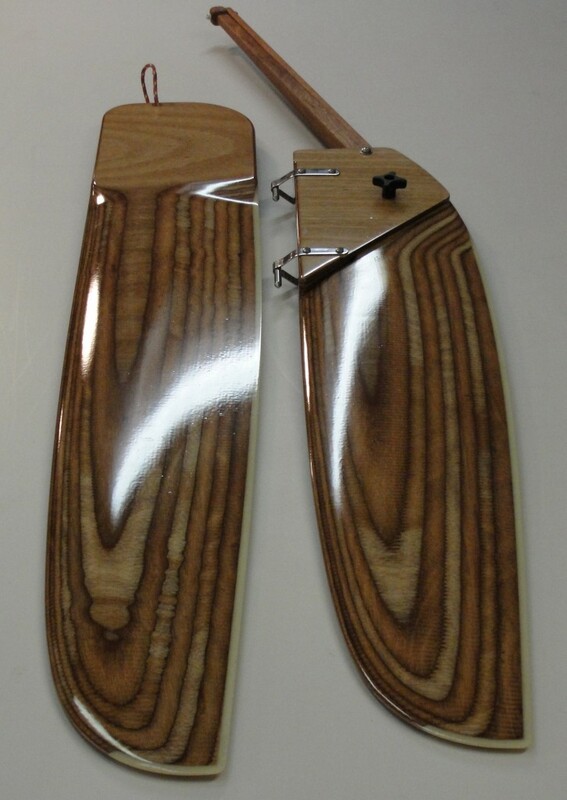 The kick-up rudder design is something we are proud of. 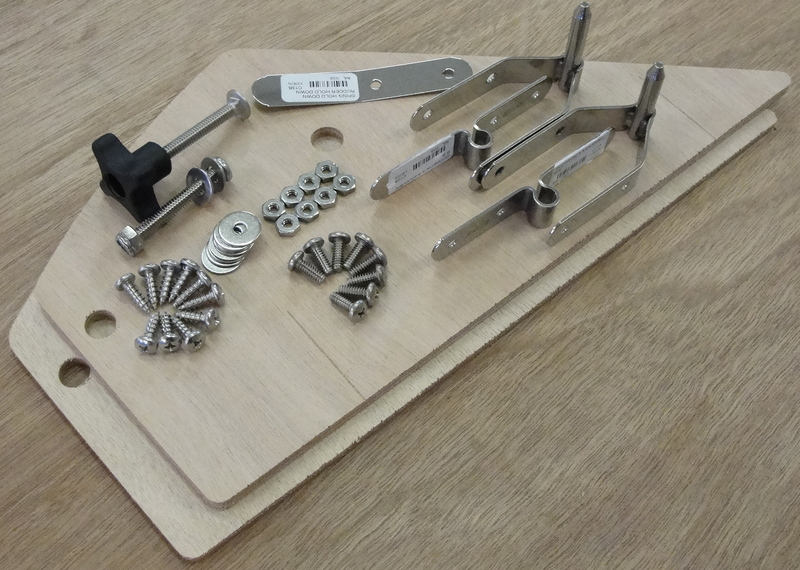 The case is fun to build, works very well, and folds for stowing. Building the case requires multiple epoxy steps and can be done while finishing the foils. 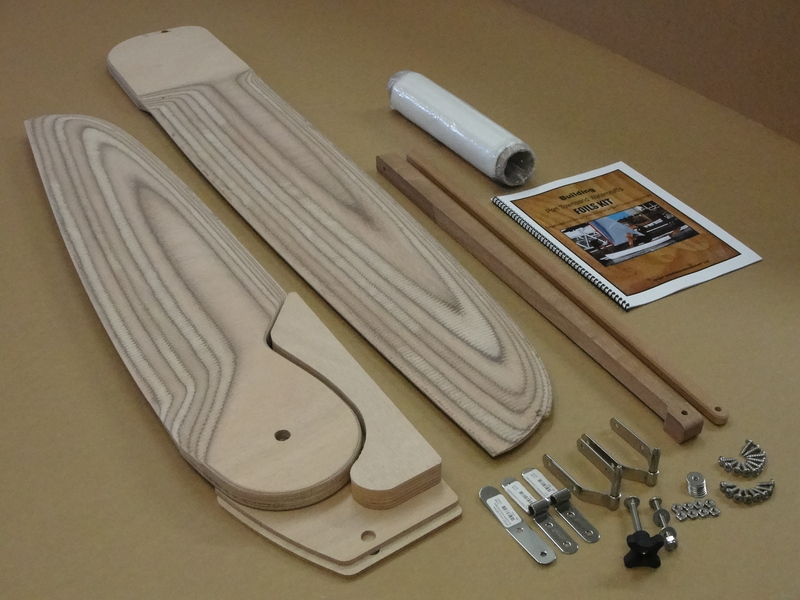 Our foils kit contents are shown in this picture, along with the optional tiller and hiking stick. The foils are a machined NACA .012 section. A detail of the steering hardware package; Note the scribe marks on the rudder case walls for aligning the pintels. 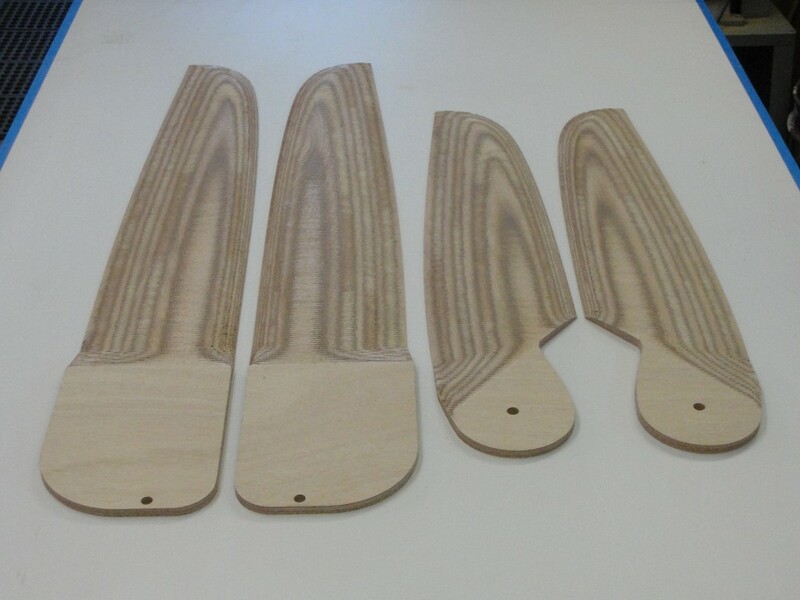 The rudder and dagger-board are machined in halves from high grade Okoume plywood. The halves are then glued together and vacuum bagged in our shop before shipping to the builder. This picture shows the finished foils. The Rudder folds for easy storage. See the OPTIONS PAGE on our website for prices.